In 1988, Bobby's generous heart and philanthropic spirit prompted him to start the Roundup for Autism to raise funds to support the vital programs and services at the Autism Treatment Center. Consisting of a one day cutting and roping contest on his Burleson ranch, the event has grown to a major fundraising event spanning the state of Texas. Today, Roundup is one of Texas' largest fundraisers for autism. Since 1954, members of the Sherman Service League have worked to better the Grayson County community-at-large through service, volunteerism, and community involvement. Since its inception, the Service League has supported numerous community agencies and organizations with a diverse set of missions and goals. From children’s charities to home hospice to indigent health to scholarships to public transportation; the League strives to improve the quality of life in the Texoma area. Each year, members of the Sherman Service League come together to evaluate the specific needs of Grayson County, and choose grant recipients based on requests received, the needs of Grayson County, and the amount of funds raised each year from the League’s annual Charity Ball. The Foundation for Allen Schools is a separate nonprofit education foundation which exists solely to support Allen ISD teachers and students. The Foundation was established in 1997 by a group of school and community leaders who were charged with utilizing a donation from two sisters and long-time Allen residents, Miss Viola Rose and Mrs. Minnie Rose Shelton. Viola and Minnie grew up and went to school in Allen. When the sisters passed away, they had no heirs and chose to give their estate to help their community. One half was given to the City of Allen and one half to the Allen Independent School District. The instructions to the district were that the money was to be used to support teachers and students. An original board of directors, all volunteers, worked for several years to raise additional funds and develop ideas for Foundation programs. They awarded the first classroom grants for the 1999-2000 school year; a total of 7 grants were awarded that year. In 2000, a part-time director was hired and eventually, the board grew to 21 members with a focus on classroom grants, teacher training and recognition, and student scholarships. To date, the Foundation has awarded over 400 classroom grants, several hundred student scholarships, and provided the support for Allen ISD educators to attend graduate school, receive special training, and be recognized for their accomplishments. What the sisters helped to create has had a very positive and direct effect on the lives of many Allen children. To date, the Foundation has invested more than $1 million back into Allen ISD. 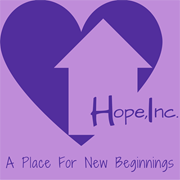 Hope, Inc. is a place for new beginnings. We are a domestic violence and sexual assault victim's shelter located in Mineral Wells, TX, and proudly serve Palo Pinto, Parker, Erath, and Hood County since its conception in 1983. Hope, Inc. exists to eliminate domestic violence through intervention, offering shelter, counseling, support, and education to promote the healing of abused victims. Hope, Inc. is a non-profit organization governed by a volunteer board and staffed with trained professionals, and a United Way Member Agency. We offer a Crisis hotline (940-325-1306) which is answered 24 hours a day, 365 days a year by trained personnel for information and referral. We offer an emergency shelter in a confidential location which provides safe lodging for victims their children escaping an abusive situation. We have trained counselors that offer counseling programs for adults and children, as well as group/family counseling and parenting education. Our main goal is help eliminate domestic violence in our community and community awareness is key in making that happen. We offer presentations to community groups on domestic violence awareness and prevention at no charge and have programs specifically designed for civic groups, church groups, schools, and medical personnel. The mission of the Hoffen Foundation is to give children a ray of hope. The name “Hoffen” is German for “hope”, an action and emotion crucial to overcoming obstacles and challenges in life. It is the desire of the Foundation to carry out fund raising events to benefit charitable groups that may cultivate such hope for children throughout the community. The main focus is to assist children with a variety diseases, disabilities and socioeconomic challenges by raising funds. The funds are used to enhance the ability of existing organizations, to provide new programs and offer ongoing assistance. That assistance may be in the form of toys during the holidays, clothes and educational supplies for the school year, financial assistance for medical facilities, funding to support outings to stimulate children’s imaginations and opportunities to engage in activities they may otherwise not experience. On October 26, 2010, professional female drummer April Samuels was diagnosed with an aggressive form of breast cancer called triple negative breast cancer (ER-, PR-, HER2-). Immediately, April was motivated to "do something". 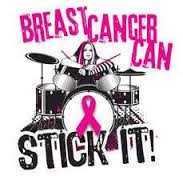 In November of 2010, combining her will to fight breast cancer with her passion for drumming, she came up with the motto "Breast Cancer Can Stick It!". That motto has now become a brand. "Breast Cancer Can Stick It!" can be seen on shirts, water bottles, bags, bass drum heads, and cars across the country working to raise awareness and funds for research, clinical trials and a cure for breast cancer. Since its creation in 1958, Casa Mañana has grown into the largest performing arts organization in Tarrant County. In more than 50 years, five visionary men have led this organization, Melvin O. Dacus, Clarence “Bud” Franks, Van Kaplan, Denton Yockey and Wally Jones. Twenty-three men and women have led Casa’s Board of Directors. Hundreds of dedicated and generous volunteers have given their time and energy to serving beneath them. As Casa heads into its next 50 years, the commitment has never been stronger to present the highest quality live theatre and live up to its namesake, "The House of Tomorrow."